See Jane Work is an office supply company that caters to the tastes of aesthetic-deprived people working in offices everywhere. 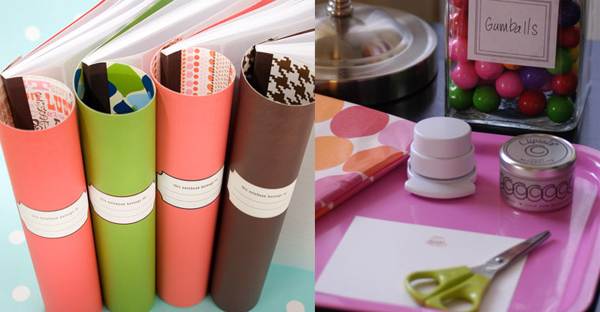 The wide selections of notebooks, filing stsyems, binders, desk supplies and stationery from various designers, such as Kate Spade, Jonathan Adler, Hable Construction, Jack and Lulu and Jordi LaBanda are fantastic. Notebooks from Jonathan Adler, $15 each. Various accessories from the many collections at See Jane Work.